Mariah Carey is unleashing a full-out onslaught of singles ahead of her upcoming album Caution. There's only been one problem: they've all been ballads. While we enjoy a good Mimi slow jam or two, we also love it when Mariah gives us something to bump in our speakers. Looks like Mariah was listening to our call, as the latest release from the project is a faster-paced number produced by frequent collaborator Jermaine Dupri called "A No No." Upon first listen, you'll notice that this one takes a healthy sample of Lil Kim's 1995 jam "Crush On You" (which itself sampled Jeff Lorber's jazz jam "Rain Dance"). It serves as the soundtrack for a classic MC kiss-off. While she was much more explicit on buzz single "GTFO," this one is done with that signature Mariah sass as she checks everything from Gilligan's Island to Dior while letting us know she ain't the one to play with. Her feathery vocals ride JD's signature skittering hi-hats like always, showing that the diva hasn't lost a step when it comes to blending R&B, hip-hop and pop like it's the '90s all over again. Not to mention, there's a clever use of The Notorious B.I.G. 's "Crush On You" chorus as a nice little bridge near the midpoint of the song. 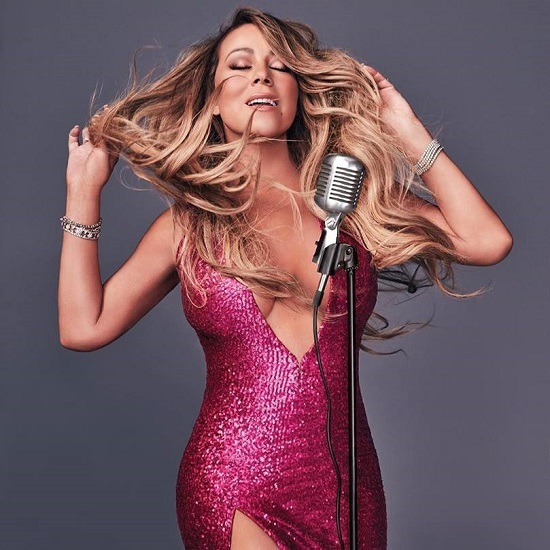 We worried that we'd be getting Trap Mariah on this new album, but it looks like Ms. Carey is content with giving the people what they want with a slightly new twist. We don't think the singer's fans will be mad at all. Check out "A No No" below.